Though its Earth Element energetically binds Opal to worldly, human experiences, its rainbow colored flashes are our tickets to ride into the world beyond The Veil. Think that’s a bunch of Woo Woo wampum? Who did you meet while you were ‘there’? What insights did you bring back from the Akashics? What put away passions are reignited? For centuries people besmirched (Yes, besmirched. It’s one of our favorite words!) the Opal as a “bad luck” stone. There were many reasons for this not the least of which is Sir Walter Scott’s writings of the Lady Hermione who, upon having holy water hit her Opal, meets an ill fate. The actual reason for this superstition is something more scientific. Opals are very soft and easily cracked in the shaping process. Crack enough precious stones and you’re not going to look on the lot too highly. Once jewelers knew how to precisely cut and polish these gems, the Opal could breathe a sigh of relief and find welcome into the family of healing and metaphysical stones without prejudice. Of course not everyone gave into the negative folklore surrounding Opal. Queen Victoria gifted both her daughters with Opals on their wedding day – no harm came of it. The Asian culture looks on Opal as the child of lightning and an emblem of hopefulness. And truly who can look at the twirling fire inside these mystical gems and not find themselves mesmerized. The ever-shifting colors gave rise to a belief that an Opal’s bearer could become undetectable, and as such could aid thieves (more than likely they were stealing the opals away, not putting them on for magic purposes). However, spiritually speaking one can apply this symbolism to those times when you feel overexposed. Let the Opals’ rainbow hues play within your Aura and blur the vision of those wishing you ill. The Middle Ages touted Opal as a beauty enhancer. Women who wore it kept their hair from graying or falling out. Interestingly enough the “never fade” quality also pertained to relationships. Opal represents devotion and fidelity, as well as a long healthy life. This particular symbolism may have started due to a legend in India where the Rainbow Goddess shape-shifted into an Opal to avoid other gods desirous of her favors. For those latent hippies out there, Opal was the original “mood stone”. The colors supposedly change depending on your emotions. So, take a peek. Are you in your “blue phase” or “in the pink”? Being a dreamy looking stone, Opal’s energy often connected deeply with spiritual visionaries. Nonetheless there are cautions against those with perpetual “fights of fancy” owning this crystal as it can encourage a little too much mental whimsy. For the psychic and futurist, however it makes an excellent potential scrying stone, the inner lights helping to form images much as a computer or TV screen might. 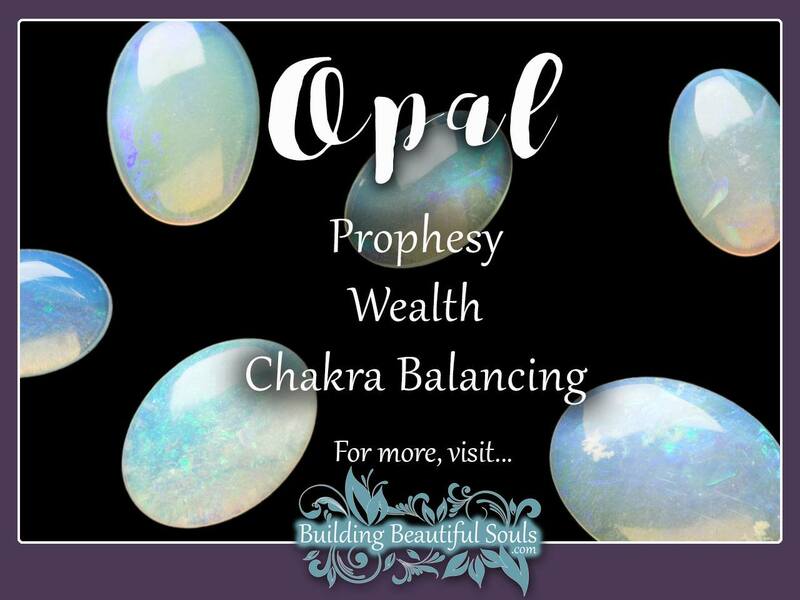 Opal also bears generous, noble energy. It is a stone of charitableness. Those with selfish spirits find that being around Opal makes their aura literally itchy. Having one nearby regularly for such individuals can even create nightmares. 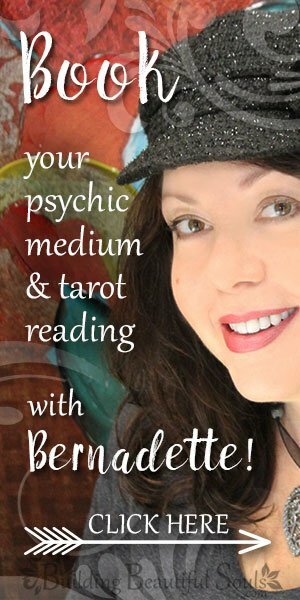 If you’re carrying an Opal and notice someone getting unusually anxious – suspect their intentions. Metaphysical stores often suggest choosing opals mounted in gold or silver for greatest effect. The Opal spirit is useful as a tonic, not just for people but also beloved pets (put one securely on a collar). When carried regularly Opal stimulates the mind for both creativity and memory retention, making it a good healing gemstone for students. It also enhances power and will for magic, amplifying energies particularly when working with the Fey and Devic entities. With Opal displaying so many colors it can also tie to the 7 Rays that govern chakra work for body-mind-spirit balance and harmony. Look at the shape of the stone and the predominant colors for greater insight into its potential applications. Color: White, colorless, pale yellow, pale red, pink, blue, gray or black when impurities are common. Experts contend that opal gets its name from the Sanskrit word upala, which simply means precious stone (yeah, not overly creative!). Even with such a basic beginning some of the greatest Historians wrote of opals including Pliny the Elder. Other sources feel Opal may have been named after Saturn’s wife, Ops who governed fertility. Ops means wealth, abundance and providence. Interestingly enough it also means “to labor”. So, in this case if we are to take our “Op”-ortunity for success and plenty, we would do well to work hard and carry an opal.